Ross County have condemned a minority of their fans for "unacceptable conduct" after seats were allegedly damaged at Saturday's Scottish Challenge Cup Final. The Scottish Championship leaders beat Connah's Quay Nomads 3-1 at the Caledonian Stadium in Inverness. County say they will work with Inverness and police to investigate. 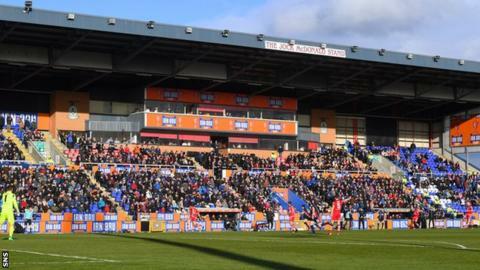 "This small minority of fans are bringing our club into disrepute," read a County statement. "Irrespective of any action by other authorities, should any supporter be identified the club will take further action. There has been a trend of unacceptable conduct at recent derbies both home and away."